This fantastic mid sized staff cart bag is perfect for looking like the Tour pro out on the golf course. 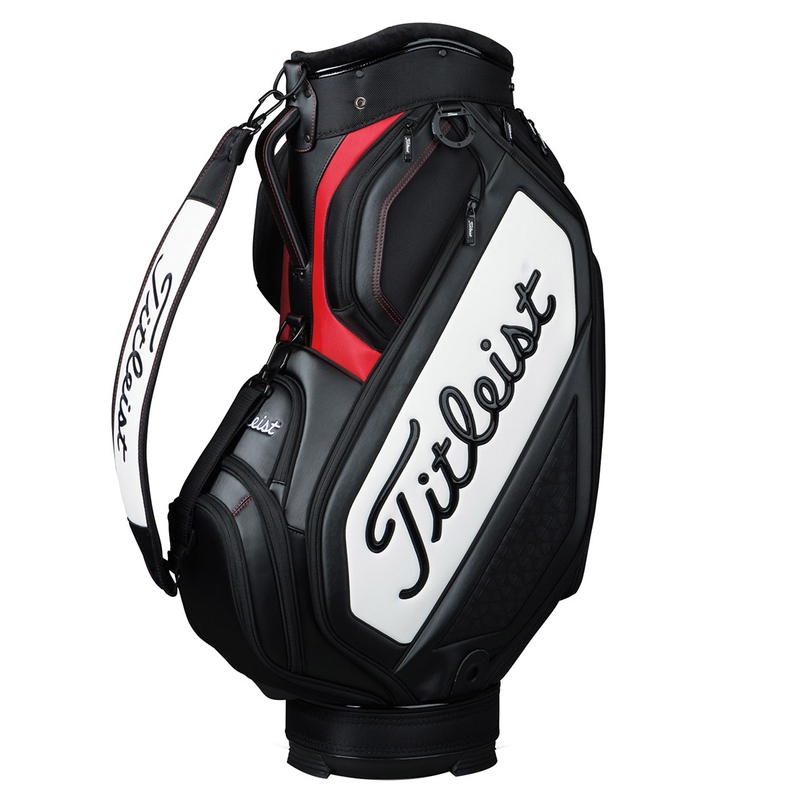 This is a lighter alternative to the full sized staff bag that has a weight of just 3.5 kilograms, plus has a high-density foam strap if required to carry your golf equipment. 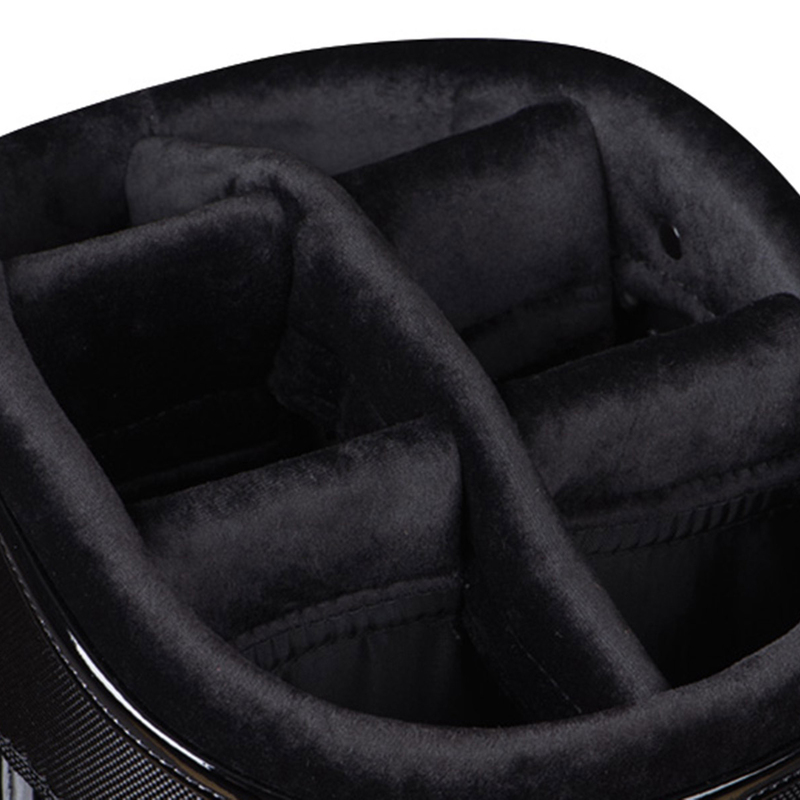 The bag a large 9.5 inch top cuff with 6-way dividers, that have luxurious velour detail to help to prevent rubbing on your club shafts. For all your storage requirements, a total of 9 pockets help to assist you round the golf course to ensure all your needs are fulfilled.